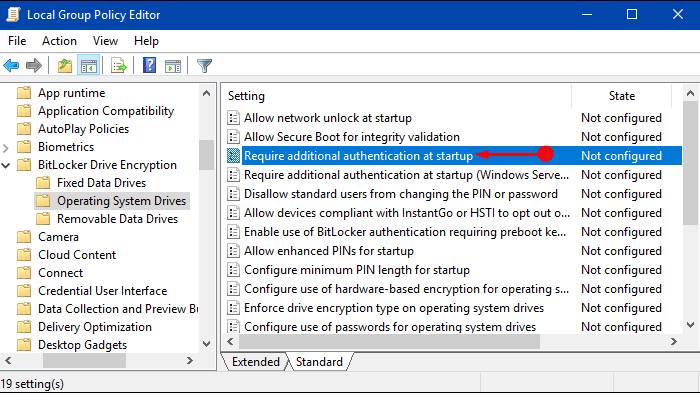 BitLocker works together with a security chip, called Trusted Platform Module which is on the motherboard. The work of this chip is to initiate and save an encryption key. This key is further used to decrypt any file during times of need. But when a manufacturer prefers to keep a PC low cost then they get rid of the TPM chip. In these cases, it becomes important for you to bypass the restriction made by the chip and move ahead with the encryption process. During such times the Group Policy Editor helps to continue forward the same work.